This year a large team was put together to operate in Uganda close to the town Iganga. We joined forces with Missionary Ventures who organised the clinic sites and provided the interpreters and logistical support. As ever the queues were never ending and we must have seen over 2000 people in the six days of testing. 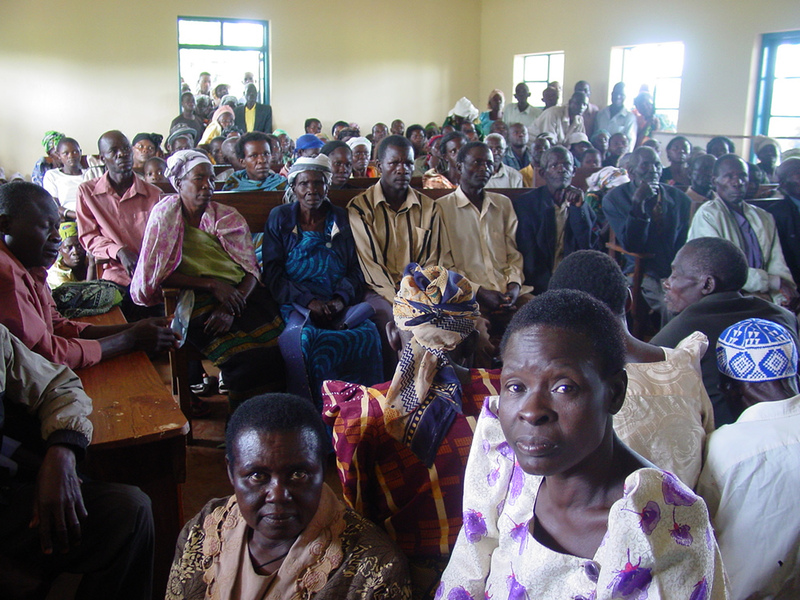 Mission for Vision partnered again with Missionary Ventures to provide a comprehensive eye care program to two communities close to Iganga town in eastern Uganda. The team comprised of seven clinical personnel and two ministers to teach at two conferences organised and funded by the charity. The clinics were run at Nakigo and Bukanga and we saw around 1800 people in total. During six very busy days of testing the two optometrists were able to carry out 760 sight tests, 740 received medication for eye allergies, 300 were given protective sunglasses, over 1200 glasses were dispensed and Mission for Vision funded 88 cataract operations that were carried out in Tororo. Alex Tinson and Andrew Strom led a training conference for over 500 local church pastors. Rex Gyunn, a missionary living in Kitgum in the North, provided much needed assistance with transport, filming and the delivery of reading glasses to the pastors. This time the team were treated to relative luxury at the Mum Resort hotel in Iganga and there was plenty of time for relaxation and fellowship in the evenings. The optometrists on the team were Michael Barrett and Helen Allder, dispensing was shared between Ian and Brigitta Squire and the screening was shared between Daren Allder, Graham Hengist and Ian. A portable auto-refractor was taken for pre-screening the patients en route to the optometrists and this was done by Ian, Abigail Harding and Daren. Jane Hengist kept the crowds in order and ministered in the waiting area as did Melinda Gyunn from Missionary Ventures. The organisation supplied by Missionary Ventures overseen by Nigel Harding was excellent and we were connected up with some outstanding people who put the program together, namely Pastor Perez and his team from Iganga. On the last day the clinical personnel had a day of rest at a resort in Jinja on lake Victoria, whilst Andrew and Alex continued to preach in churches in Jinja and Bukanu.